The OnePlus 5T could be one of this year's worst kept secrets, or does that award go to the Samsung Galaxy S8? Well, you don’t need to wait for the launch event on November 16th, for seeing the phone. 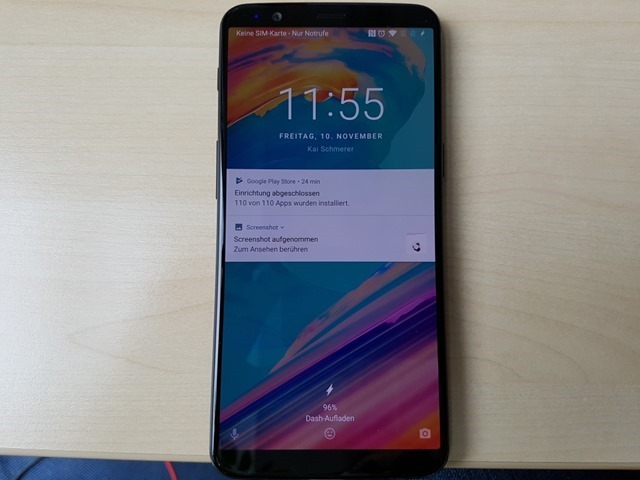 The real-life photos of the OnePlus 5T have been leaked by German blog Zdnet.de, along with the phone's box shots, along with the full technical specifications of the device. 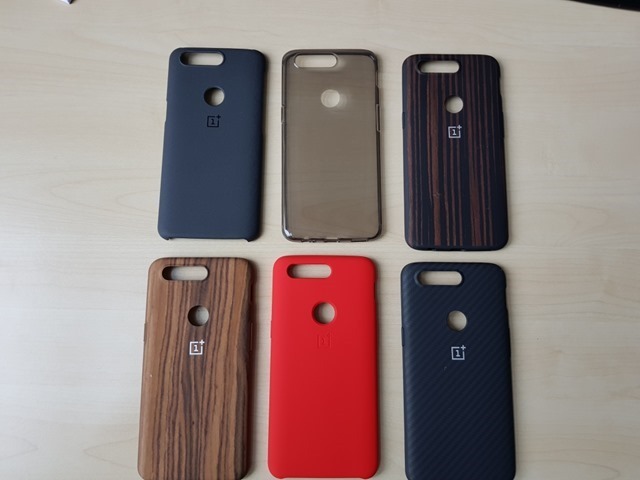 And now we can say with certainty, that the OnePlus 5T has an 18:9 aspect ratio, with a 6.01-inch Full Optic AMOLED display, with a resolution of 2160 x 1080p pixels, and 401 ppi.The display supports sRGB, DCI-P3 and is protected by 2.5 Corning Gorilla Glass 5. 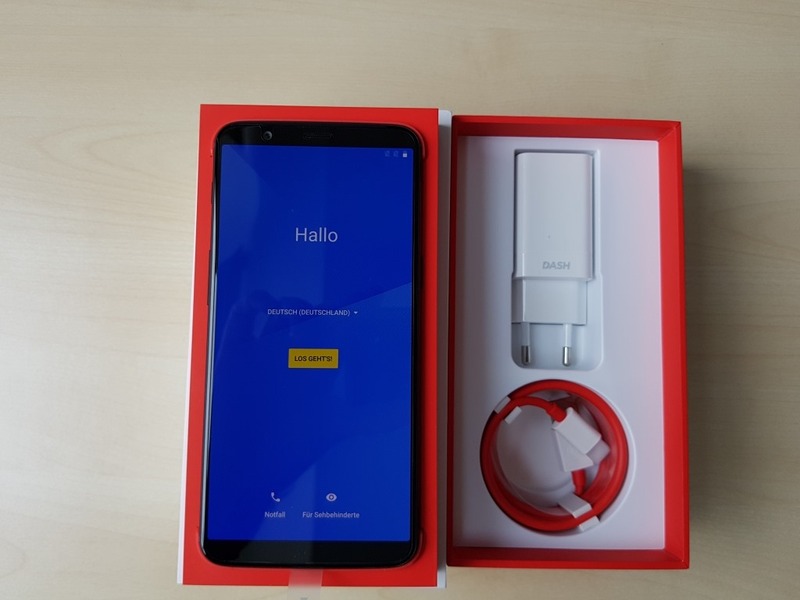 The device runs on OxygenOS based on Android 7.1.1 Nougat, and is powered by a Qualcomm Snapdragon 835 processor clocked at 2.45GHz, with an Adreno 540 GPU, 6GB/8GB of LPDDR4X RAM. The phone will be available in 64GB and 128GB storage variants which use UFS 2.1 chip. 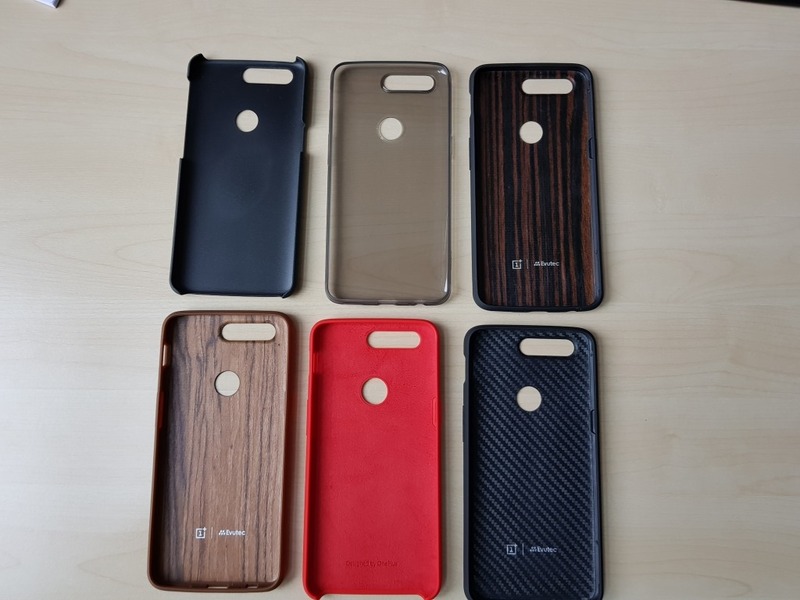 The OnePlus 5T has a rear placed finger-print scanner, moving away from the company's traditional front-facing fingerprint sensor. The phone has a bottom facing speaker, 3 microPhones and supports AANC, and Dirac HD Sound. 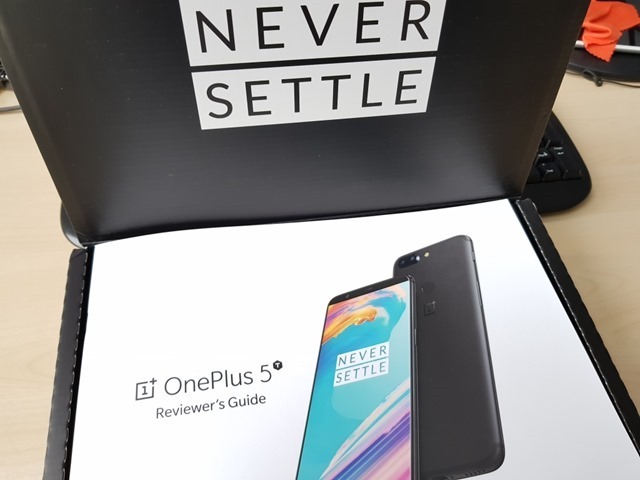 The OnePlus 5T features dual rear cameras, the primary of which is a 16 megapixels Sony IMX 398 sensor, with an f/1.7 aperture, 27.22mm focal length, and 1.12μm pixel size. The secondary lens is a 20 megapixels IMX 376K camera, with an f/1.7 aperture, 27.22mm focal length and a 1.0μm pixel size. 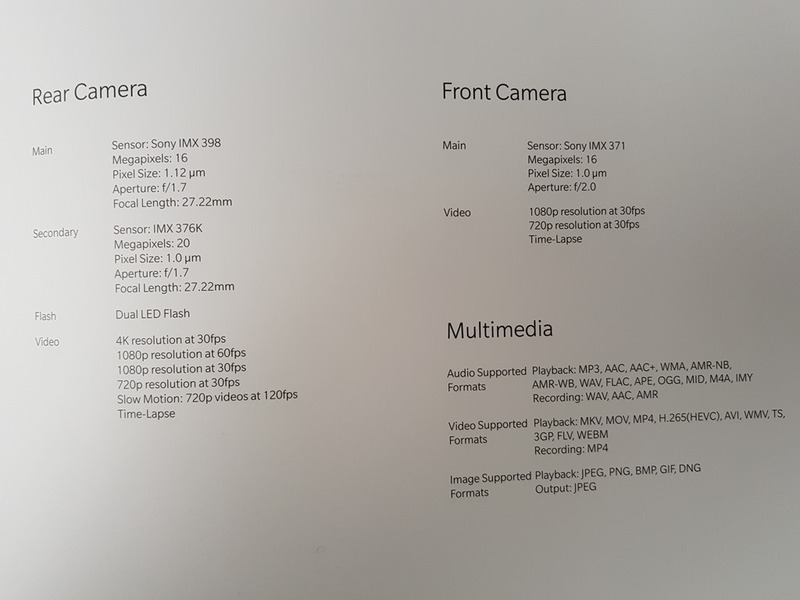 The cameras have a dual LED flash, and supports 4K video recording at 30 fps, 1080p @ 60/30 fps, 720p @ 30fps, 720p slo-mo @120fps, and time lapse. There is no word about OIS (optical image stabilization) on the spec sheet. 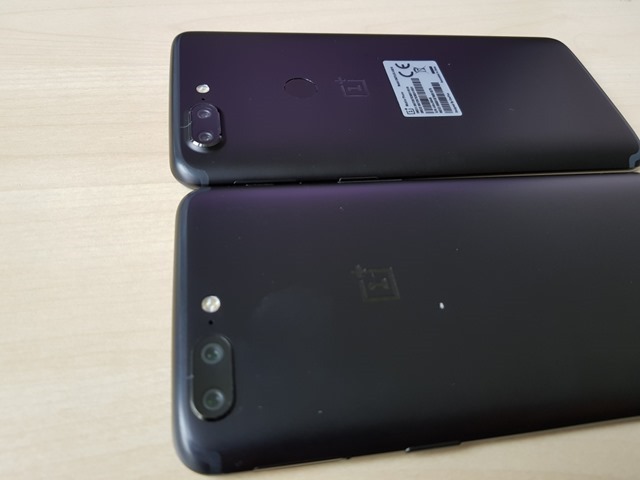 The selfie lens on the OnePlus 5T is a 16 megapixels Sony IMX 371 camera, with an f/2.0 aperture and 1.0μm pixel size. Connectivity options on the OnePlus 5T includes NFC, Wi-Fi, 4G LTE, GPS, GLONASS, BeiDou, Galileo, Bluetooth 5.0. 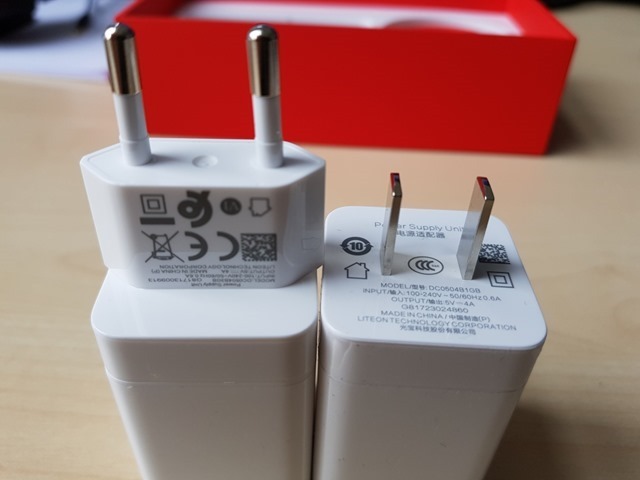 The phone does retain the Alert slider and 3.5mm audio jack, and has a USB 2.0 Type-C port, and supports dual Nano-SIM cards. 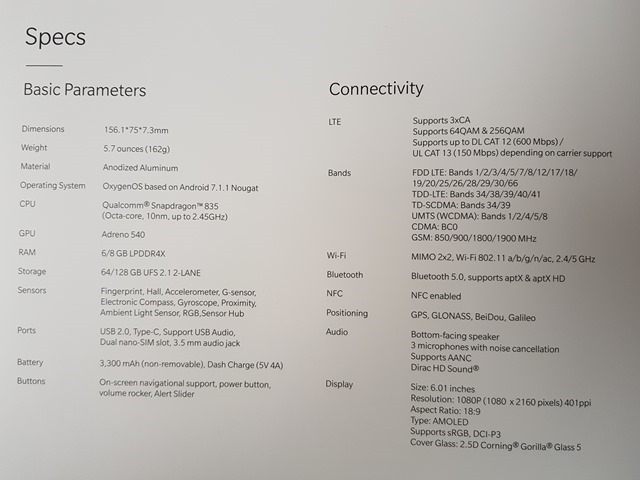 The OnePlus 5T is backed by a 3,300 mAh battery, which supports Dash Charging at 5V 4A. The OnePlus 5T has a full metal design, with an anodized aluminum body, weighing at 162g, and measuring at 156.1 x 75 x 7.3mm. The phone will have 6 official back covers, including a transparent case. Mainland China, Hong Kong and India. 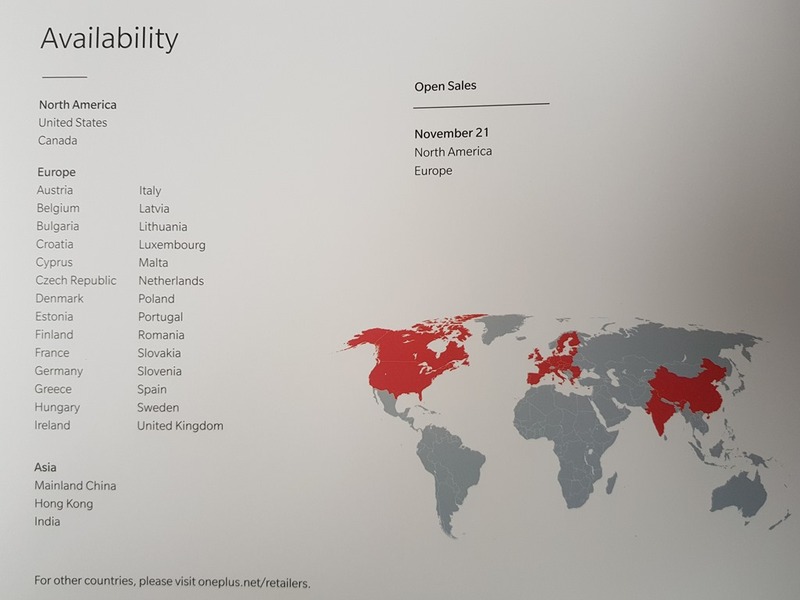 The One Plus 5T will go on open sale from November 21st in North America and Europe, and will have a special sale on the same day in India.